I learned how to take photos on a film camera. In fact, in my first photography class in high school in the early 2000s, I was taught the ins and outs of developing film in a darkroom. But by the time I took a photojournalism class in college, we were learning to shoot digital and adjust pictures in Photoshop. Recently — like many photographers I know —I’ve been flirting with film again. In an age where everyone carries around a camera in their pockets in the form of their phones, there’s something refreshing about shooting film. My renewed interested in film was sparked when I inherited a Minolta 7000 from my friend’s mother. 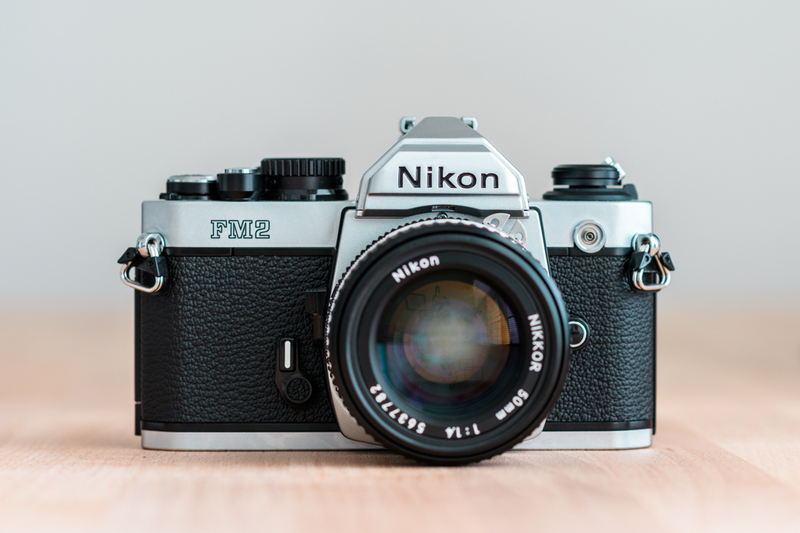 It’s a cool camera from the 80s with modern features, such as auto focus and program and aperture priority modes. But I wanted something more manual, something that would make me work for my photos a little harder. I did my research and decided I wanted a Nikon FM2. These cameras were produced from 1982–2001 and were completely manual — no electronics except for a built-in light meter. I found one for a reasonable price on eBay. It was in great condition but the reason why it was listed for so much less than some of other FM2s on the site was because the light meter was broken — not a dealbreaker for me. I could just use this as an opportunity to brush up on the trusty old Sunny 16 Rule. Since getting the camera, I’ve gone through a few rolls of film. I’ve tried Fuji Pro 400H and Kodak T-Max 400. There’s currently a roll of Kodak Tri-X 400 in my FM2 that has a few frames left. While I’ve enjoyed shooting with both the Minolta 7000 and the Nikon FM2, I do enjoy using the FM2 more. With all the metal and rubber, it has a solid, well-built feel to it. From loading the film to cranking the lever to advance the slides to clicking the aperture and shutter speed rings in place, there’s something very satisfying about taking pictures with this camera. And yes, even after going through several rolls of film, I still instinctively check the back of the camera after I snap a pic to no avail.